It is made from high quality alloy for more strength and durability. 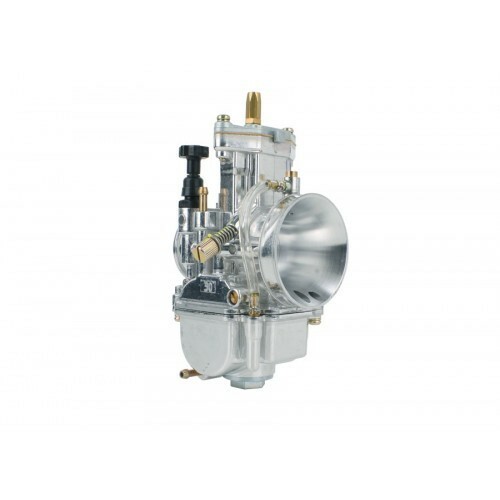 Each carburetor comes with lightweight and compact body. The slide design enables the engine to respond much quicker than the conventional slide carburetor. It allows the air flows faster and smoother. The air fuel mixture will be more consistent, resulting in a noticeable performance increase. 1) LARGER DIAMETER INTAKE PASSAGE SIZE COULD BE FITTED INTO THE CARBURETOR FOR INCREASE AIR FLOW. 3) MADE OF HIGH QUALITY ALLOY.